I cut tenons with a Japanese ryoba saw, the larger of the two saws pictured above. The reasons are simple: I get excellent results and have been using ryobas for more than 25 years. 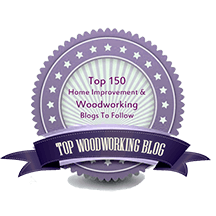 I have tried several excellent Western tenon saws from top makers and I must admit that I have not found the comfortable accuracy and reliably clean cut surfaces that I get from the ryoba. I concede this probably is a matter of habit and I would eventually become as comfortable with the right Western tenon saw as I am with my ryoba. 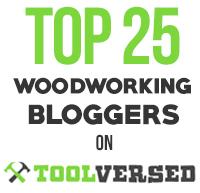 So, rather than saying one type of saw is better than the other, I am sharing my preferences, and the reasons for them, in the hope that this may help other woodworkers find what works for them. My saw is a Gyokucho model #611, 240 mm (9 ½”), available from Japan Woodworker, item # 19.611.0, $38. Replacement blades are $24.50. This saw has a 0.018″ saw plate, rip teeth that grade from 10 tpi at the handle end to 7 tpi at the far end, and 20 tpi crosscut teeth, both set 0.005″ each side. I start cutting a tenon using the crosscut teeth to split the layout lines at the corners, establishing shallow kerfs. Switching to the rip teeth, I connect those starter kerfs across the end of the tenon. Once the rip teeth are buried, I cut on a diagonal on the layout line down the length of the tenon on one side, then the other. Finally, I saw away the remaining triangle of wood at the base of the tenon. The low cost and replaceable blades belie the excellent performance of this saw. I suppose a handmade ryoba costing a few hundred dollars (that I would not have the skill to sharpen on my own) would be subtly better but I don’t feel compelled to go there, at least now. The quality control and value in Japanese machine-made saws such as the Gyokucho and Z brands are amazing. The ryoba also does general small to medium scale ripping and crosscutting, such as cutting a haunch in a tenon. In my opinion, Japanese backsaws are the wrong tool for cutting furniture size tenon cheeks. However, a tiny tenon, such as in a small drawer handle, can be cut with a Japanese or Western dovetail backsaw. For very large tenons in low to medium density woods, a large Japanese single-edge (kataba) ripsaw is a good option. I will discuss such a saw later in this series. The other saw in the picture is a crosscut dozuki saw which I like for cutting the tenon shoulders. It is a Z brand saw, 240 mm (9 ½”), 25 tpi, 0.012″ saw plate, 0.016″ kerf, available from Rockler, item #65607, for $44.99, replacement blades $27.49. (Why do they insist on calling it a “dovetail saw?” It is not.) It is thin, straight, and sharp enough to settle against a knifed and deepened shoulder line. A Western “carcase saw,” discussed in the next post, is another good option for this task. Over the last couple of years I haven’t done much hand sawing (amazing how little is called for in professional work, at least for me) and just recently began to practice dovetailing for a new tool idea. Now, since my earlier days of doing a fair amount of sawing dovetails, I’ve gotten eyeglasses. So, combined with lack of recent practice and the vision issue, I was taken aback by the lousy results (the saw is not the problem). What has helped to improve the situation is paying close attention to the cone of vision (thanks to Robert Ingham’s “Cutting-edge Cabinetmaking”). What I’m finding is that the back, or spine, of the western back saw is an obstacle in how my eyes are able to focus on either side of the blade when I have the lines in focus with my graduated lenses. The place my head has to be to be able to see the lines right doesn’t work with the spine. This is kind of off-topic as far as saws, per se, but with your vast knowledge of eyesight, it would be a topic I think worthy of your discussion for readers. Thanks, Tico. I will put the topic on my idea list. Lots of good information here – thanks. I wondered what your thoughts are on using the crosscut side of the ryoba for cutting the tenon shoulders, especially from the perspective of a beginner on a budget. You’re welcome. I’m glad you’ve found the posts helpful. For cutting tenon shoulders a backsaw is better because you need a stiff blade since several inches of the tooth line will be engaged in the crosscut. The crosscut Z saw does a good job and you will also find other uses for it. Same for a carcase saw but it is more expensive. For a narrow tenon, say two inches, I guess the crosscut side of the ryoba might work, but it’s not ideal. Another approach: Enhance the knifed line shoulder marking by paring a tiny slope toward the line to create a “V”. Then saw close to the knifed shoulder line – you could do that with the ryoba even though it’s not ideal. Then settle a chisel (try 3/4″ wide for most domestic woods) in the V (flat side against the shoulder line) and chop/pare away the tiny remaining width of wood to create a neat shoulder. It works.